2018-2019 Camcorder Buying Guide – Buying a camcorder can be confusing. With so many choices and features you need to understand what is important and what is not. This camcorder buying guide will help you sort out the facts on camcorders and what models best fit your needs. It will also explain the technical jargon that is important to know when buying a camcorder. 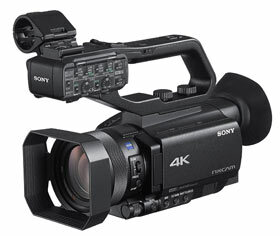 The industry is changing again, this time 4K Camcorders which have 4x the resolution of Full HD are starting to emerge. This guide only lists camcorders that are top rated by SmartReview. These are the top picks in Full HD and 4K Camcorders. All of these camcorders use solid state memory cards to record video. The latest camcorders are Ultra HD, or 4K, and have 4x the resolution of HD camcorders. 4K camcorders have movie theater type of resolution, and will future proof your videos for generations to come. The camcorder industry is changing again. First it transitioned from Standard Definition (SD) to Full HD camcorders. Now the manufacturers are starting to come out with consumer 4K camcorders. 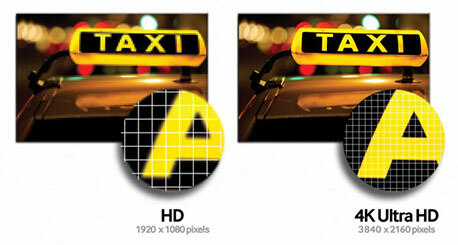 These have 4 times the resolution of Full HD (8 megapixels versus only 2 megapixels in HD). Movie theaters project at 4K resolution, so you will in a sense have movie theater resolution in your hands. TVs are transitioning to 4K, so you will future proof your videos if you shoot in 4K today. Even if your project is Full HD, 4K will allow you to crop and zoom into the video without loss of resolution. You an also take 4K footage and convert it to HD, with a clarity you will not see from HD only camcorders. 4K resolution is 3840 x 2160. Video Quality – Most camcorders do a good job in bright sunlight outside. However, camcorders that have a larger video sensor (Imager) perform better than camcorders with smaller ones (especially in low light). The video imager is the area that light hits (like the retina in your eye) after it travels through the camcorder lens. The larger the imager is, the more fine detail can be recorded. Bigger is better. Larger imagers generally come with higher priced camcorders. So if video quality, colors, and fine details are important, a camcorder with a larger sensor will perform much better than that of one with a smaller sensor. The largest imagers on consumer camcorders today are 1-inch, which is 6x larger than previous generations. Most of our Top-picks have larger imagers. We list imager size in all of our comparison and roundup pages. Low Light Performance – As with video quality, a camcorder with a larger sensor will have better light gathering ability, and low light performance. Those camcorders with larger (faster) lenses will also help in low light situations. The above camcorders that have large Imagers will do well in low light, however only the professional camcorder will give you BOTH a larger video Imager and larger faster lenses for excellent low light ability. Poor low light performance is the number one complaint of people buying camcorders. If low light performance is important, get a camcorder with a larger Imager. Some reviewers have reported that buying a video light makes a big difference in low light situations. High Definition (HD) or Ultra HD (4K) – Just as standard definition camcorders were replaced by high definition camcorders (HD), a new standard called 4K Ultra HD is going to repeat the cycle again. 4K Ultra HD has almost the same resolution as your movie theater projector, which is also 4K. For these camcorders 4K has 8 megapixels per frame (3840×2160), which is 4x sharper than HD which has only 2 megapixels per frame. Should you buy 4K or HD? We believe now that less expensive 4K camcorders are upon us, that you should opt for 4K, since it will future proof your videos. Aside from the higher resolution, 4K when down converted to HD looks much better on a regular HDTV. You also have more options when editing 4K, in that you can zoom in on the footage up to 4x and still retain full HD quality. Each frame of video is like an 8 megapixel picture, so you can get stills from your video as well. Professional Video Quality – If uncompromising video quality is top on your priority list, then a professional quality video camera may be your choice. A professional video camera/camcorder will generally be much larger than its consumer siblings. This helps in several ways. One is that the video sensors will be larger for better quality, and the lenses will be bigger for better light gathering and low light performance. Several of the professional models have been used to make documentaries and even full length movies. These are a favorite of indie (independent) filmmakers and those that record important events such as weddings. For sound, all Pro camcorders have XLR Audio inputs. These larger camcorders also have the option of interchangeable lenses, separate microphones, wireless microphones, and many other options not available on consumer camcorders. The latest Pro Camcorders shoot in 4K Ultra HD resolution. Larger 1-inch Imaging Sensor – Several 4K camcorder manufacturers have come out with a huge 1-inch imaging sensor, which is over 6 times the size of those in HD camcorders. This size sensor will provide better low light performance, depth of field, and dynamic range. These are some of the largest imagers ever seen in consumer and low end pro camcorders. Image Stabilization (IS) – Image Stabilization is a technology that reduces the blurry video that you could get in low light, using a zoom lens, walking, or riding in a car. (Sony camcorders call their image stabilization SteadyShot). This technology is extremely important, as it compensates for any movement of the camcorder you are holding to give you sharp video, even in low light. Since most camcorder shots are handheld, this is a very valuable and useful feature. Cheaper camcorders have inferior image stabilization or none, making videos very jerky compared to higher quality camcorders. This also helps when using your zoom out to its full magnification. As you zoom in, any shaking of the camcorder is magnified. Optical (as opposed to digital) stabilization is considered to be best. Sony’s new breakthrough Balanced Optical Steadyshot™ is the best in the business (see below). Balanced Optical Steadyshot™: Sony introduced a new type of image stabilization that isolates the entire lens assembly and claims to be 13x better. It is called balanced optical image stabilization. The sample footage we have seen is extremely impressive. This is a major breakthrough in stabilization technology. A professional Steadicam is how most professionals try to smooth out the video. This new type of stabilization may be able to replace the Steadicam for some applications. These are some of the best camcorders on the market today. Click here for a sample video of Balanced Optical Steadyshot™ in use. See the comparison footage near the end of this video. Sony has leapfrogged the competition with this feature. Camcorders with Built-in WiFi – Most of the latest camcorders have built-in WiFi wireless capability (or an accessory) to allow you to transfer pictures and video from your camcorder to your smartphone, tablet, laptop, or other device. You can also upload pics and video to the internet and social media sites like facebook and twitter. Another use of WiFi, which some camcorders allow is the ability to stream video over the internet via UStream. Many camcorders will also allow you to remotely control your camcorder via WiFi from a remote location. 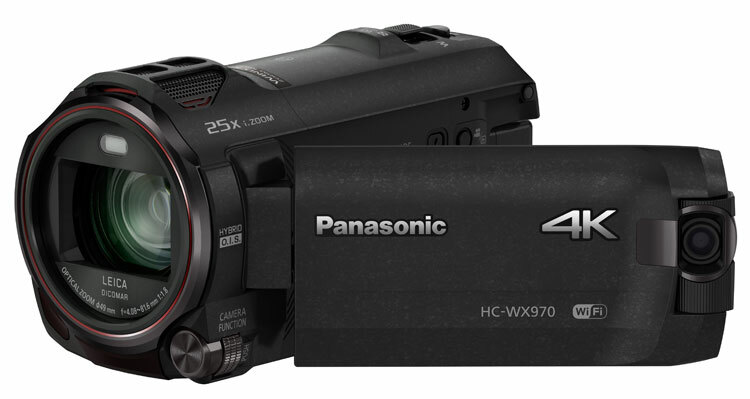 Twin Second Camera – The 2017 Panasonic HC-WXF991K 4K Ultra HD Twin Camera WiFi Camcorder and the 2015 Panasonic WX970 Camcorder are camcorders with a Second Twin Camera. This wide angle camera is built-in to the LCD door, and can be used for picture in picture video. So you could be zoomed in on a child playing soccer with the main camera, while the second camera could show the entire field, the crowd, or even yourself reacting to the events that unfold. EVF Electronic Viewfinder – A viewfinder on a camcorder was common on earlier camcorders. Today, unless you get a professional model, they are hard to find on a consumer model. The advantage of a viewfinder is for use outdoors in the bright sun, where your LCD screen may be washed out and hard to see. Optical Zoom – Optical Zoom refers to how close an object can be “zoomed in”. So a camcorder with a 10x zoom can bring a distant object about 2 times closer than a camcorder with a 5x zoom. Larger zoom lenses can give you more options. If you see a reference to digital zoom, this is an electronic representation of optical zoom, and really just crops the picture and you lose resolution. With optical zoom, you do not lose resolution. Digital zoom should not be a consideration in our opinion to purchasing a camcorder, while optical zoom should be considered. Most of our top-rated camcorders come with a 10x zoom which is good for most applications. Why do cheaper camcorders have higher zoom? 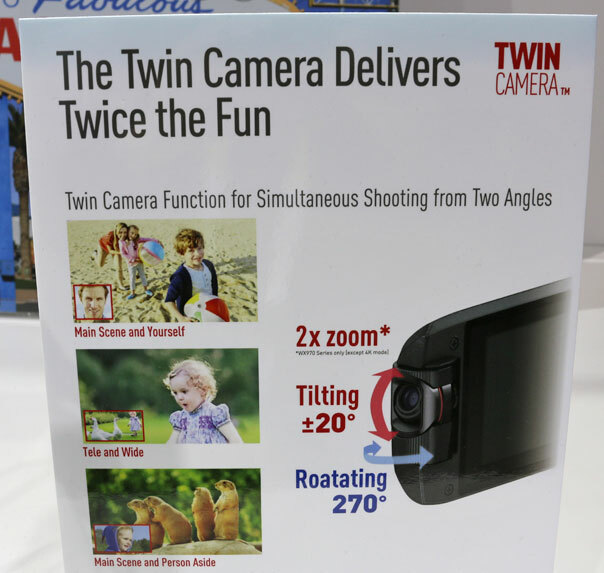 You may wonder why a high end camcorder has a 10x zoom, and a cheaper camcorder a 25x zoom. The answer is the imager size. Two camcorders with the same lens, but one with an imager half the size of the other will have double the zoom. While you may gain in the amount of zoom, you lose in image quality and low light capability with a smaller imager. Microphone – All camcorders record in stereo sound. All have built in microphones. For better quality you can buy higher quality microphones, and even get a wireless microphone for some models. Several camcorders have a built in surround sound recording system (Dolby 5.1). There are two ways to add an extra microphone to a camcorder. One is to plug it into a microphone jack (if available), or what is called an accessory shoe which allows accessories to attach to your camcorder. Night Shot/Night Vision – Several high end camcorders give you the ability to video not only in visible light, but invisible to the eye infrared light. One model from Canon, and several from Sony give you this option. You have probably seen video in the infrared if you have seen shows such as “Ghost Hunters”, and nature shows showing wildlife at night. You can video in total darkness. 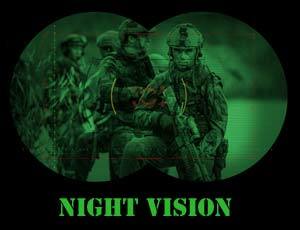 This is the same type of technology used by the military for night vision goggles. LCD Size and resolution – The LCD is the screen that you use to compose your video, and view menus for the camcorder. Many are touchscreens which makes going through the menus easier. (You just touch a choice on the menu). LCD stands for Liquid Crystal Display, the current technology used for such displays. A larger LCD screen is much easier to see. In addition to size its also important to look at the resolution of the screen (i.e. how many dots does it have). The more dots used for a screen the better. So for both LCD size and number of dots on the screen, higher is better. Manual Focus – Automatic focusing is standard on all camcorders. However there are times when you may wish to manually focus your camcorder. Examples are low light, macro (closeup), shooting through glass, and indoor shots where automatic focusing is not as effective. All professional camcorders can focus manually. Most of our top rated camcorders include the manual focus option. Some camcorders have a manual focus ring to make this easier. 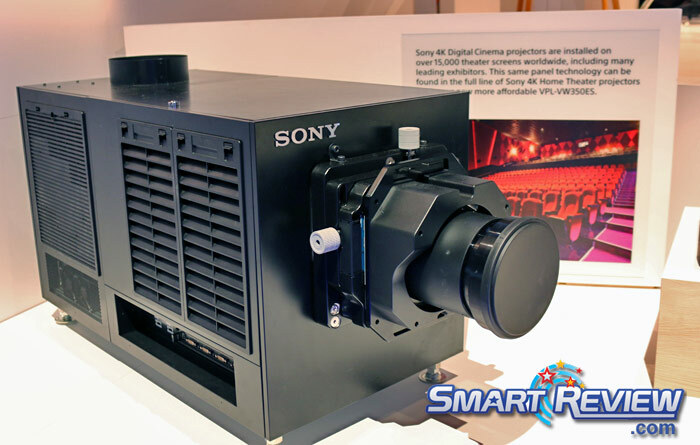 Projector Camcorders – Sony has introduced the “PJ” line of camcorders that have built-in projectors, on the LCD door, that projects your video onto a wall or screen, up to 100 inches diagonal (Like a 100-inch TV). We previewed this feature at the CES 2013 and 2014 Electronics Show. We were very impressed by the picture that was projected. Its a fun and useful feature. Sony has discontinued this feature in 2016. 1080p 720p 60i 60p 120p video – Camcorders can record video at various resolutions. Many can record at several different rates. 1080p is the current highest (blu-ray quality). 720p has about half the resolution of 1080p. Also keep in mind the frame rate of the video. Normal video is shot at 30fps (frames per second). 1080@60i is 60 interlaced frames, which is roughly equivalent to 1080p@30fps. Movie film is shot at 24fps (24p). Some camcorders can shoot at 60fps (60p) which will make the movie silky smooth and can be used for slow motion as well. 60p means 60 progressive frames per second. With the advent of 4K Ultra HD, some camcorders can record 4K as a high as 60p. Snapshot Feature – Many of the newer camcorders offer the ability of the camcorder to take pictures (still photos) with your video camera. Many list the size of the pictures they can take in megapixels. Image quality varies from camcorder to camcorder, but you should not expect the same quality as a dedicated digital camera. Use this feature more as a convenience when you don’t have your digital camera with you. Built-in Video Light/Flash – Many camcorders have a built in flash (for the snapshot feature – still pictures) and/or a video light for lower light situations. External flash units and video lights are available as accessories for many camcorders.